The liberal arts often get an unfair bad rap. Despite what you may have heard, liberal arts graduates are just as employable and successful as any pre-professional graduate. President Tuajuanda Jordan of St. Mary's College of Maryland, a public liberal arts honors college, is out to debunk common myths about the liberal arts. Among the worst offenders is that liberal arts graduates aren't competitive in the job market and have lower career trajectories. Return on investment with a liberal arts degree is actually very high, and as many as 93% of employers suggest that they desire skills that are fostered by the liberal arts. In fact, mid-career earnings of humanities graduates are on par with more professionally-oriented program graduates. Even better, the return on investment of a liberal arts degree is high across the board, from careers in business to the growing STEM fields. Read President Jordan's full article about the liberal arts here. 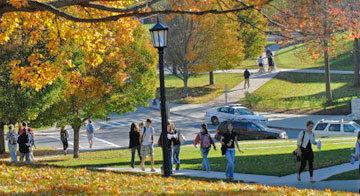 Are you thinking of attending a liberal arts college? We would love to hear your comments below.